No two lizard species have spawned as much folklore, wonder, and myth as the Gila Monster, Heloderma suspectum, and the Beaded Lizard, H. horridum—the sole survivors of an ancient group of predacious lizards called the Monstersauria. More like snakes on legs, monstersaurs are a walking contradiction: they are venomous yet don't appear to use their venom for subduing prey; their mottled patterns mingle with the broken shadows and textures of their desert and tropical dry forest habitats, yet their bright open mouths hiss a bold warning that a nasty bite awaits those who advance further. And while Gila Monster venom produces excruciating pain, it also contains a peptide that has become a promising new drug for treating type-2 diabetes. Perhaps the ultimate paradox is that monstersaurs are among the most famous of lizards, yet until quite recently they have remained among the least studied. With numerous illustrations, stunning color photographs, and an up-to-date synthesis of their biology, this book explains why the Monstersauria seems poised to change the way we think about lizards. 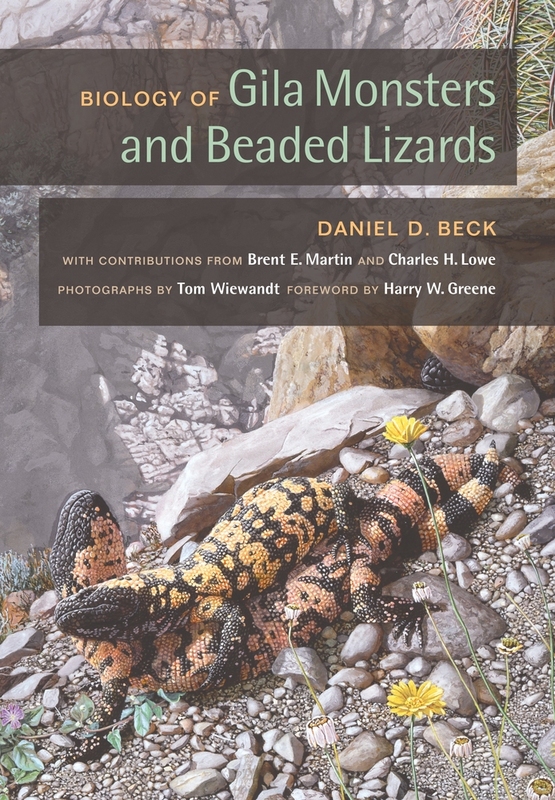 Daniel D. Beck—who has been investigating Gila Monsters and Beaded Lizards for over 22 years—teams up here with award-winning wildlife photographer Tom Wiewandt to produce a comprehensive summary of this small but remarkable family of lizards. Daniel D. Beck is Professor of Biology at Central Washington University.